The Lead Guide carefully prepares the classroom environment and directs the activity of the classroom, but it is the child who learns. Dr. Montessori observed that children are motivated through the work itself, and that children, like adults, learn best by doing rather than being filled with facts. Concentration, determination, and purpose established in early childhood lead to confident, successful learning later in life. At The Waseca School, children learn how to observe, think, and evaluate and experience the joy of learning. The Montessori approach is not a tweaking of traditional models of education, it is a completely different way of learning and teaching designed to prepare children for success in an increasingly complex world. The term “Montessori” implies both philosophy and a method of education philosophy based on the research of Dr. Maria Montessori – an Italian physician and educator. 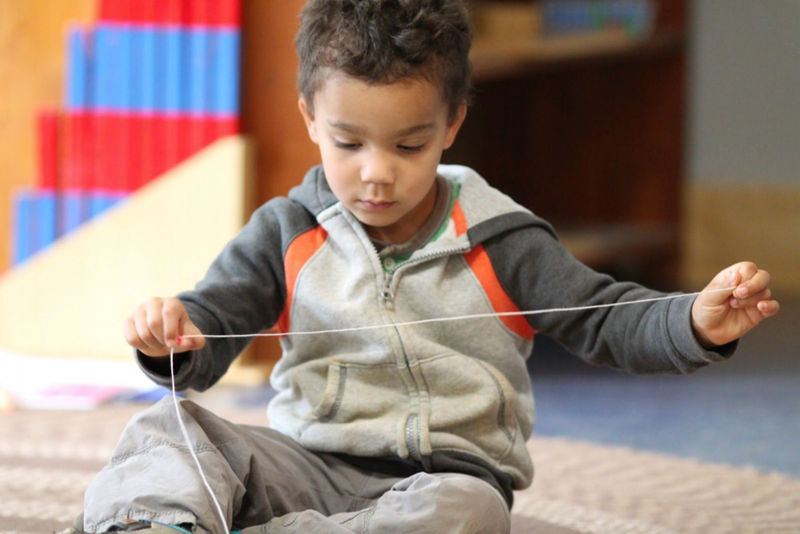 At its heart, the Montessori method emphasizes independence, freedom within limits, and a respect for the child. Classroom spaces are purposefully designed and materials carefully curated in pursuit of an education partnership. Multi-aged classrooms provide benefits that are readily apparent when visiting the classroom. Younger children in the classroom have an opportunity to observe and imitate the older students as they work. Older students have an opportunity to reinforce their own knowledge by explaining what they are doing and assisting and mentoring younger children. Each child can learn and develop at his own pace within a classroom that accommodates many levels of ability and complexity. The head teachers are referred to as Lead Guides. The experience and training of a Montessori guide is integral to the Montessori method. All of The Waseca School’s Lead Guides have completed Montessori teacher training. Our guides use both concrete teaching materials and a well-defined innovative curriculum tailored to the child, which supports each individual’s developmental needs from Infancy through Elementary.